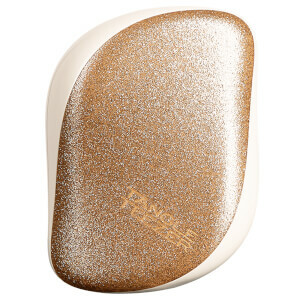 The revolutionary Tangle Teezer has a new and improved member! The Tangle Teezer Compact Styler in Pink & Black will gently and effortlessly banish tangles and knots from your hair in an instant, without pain. Who said size matters? 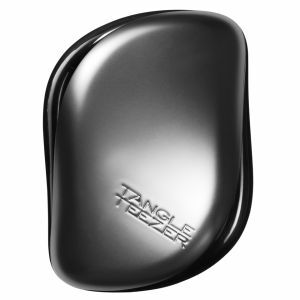 Tangle Teezer’s uniquely designed teeth flex and flick as they glide through the hair, eliminating tangles and knots on contact, minimising breakage, splitting, and damage caused by mistreatment. It’s perfect for all hair types and is specially recommended for fragile or colour-treated hair, hair extensions, weaves and children’s fine tangle-prone hair. With its new smaller size and colour, the Compact Styler in Pink & Black will be your new favourite handbag addition. 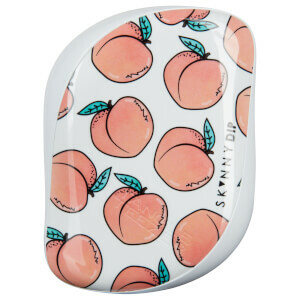 The Tangle Teezer is ideal for scalp massage delivering a blissful, stimulating sensation, particularly for hair extension wearers, offering improved comfort of wear, and maintaining tip-top tangle-free extensions throughout the day.